Congratulations to the winners of the 2017 Small Business Awards! I felt honoured to be attending the ever inspiring NSBC Small business Awards in association with World Famous Events. We celebrated SMEs of all types from education to marketing and brand consultancy, recruitment industry and food and crafts. I was blown away by the amount of creative energy and the sheer wealth of collective knowledge in the room. There were so many inspiring individuals in all areas of business. Held this year at RandLords in Braamfontein, I was amongst 100 guests who were treated to a morning of good food, great music and entertainment. 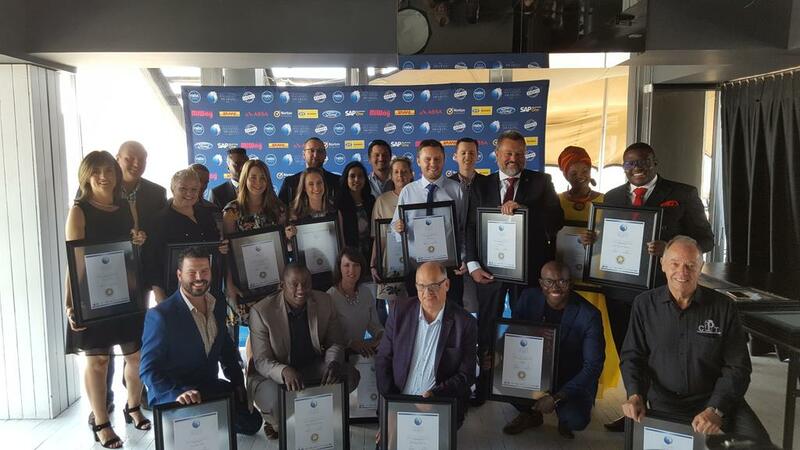 The event focused on recognising the very best small and medium (SME) businesses owners and acknowledging their positive impact in the struggling business landscape. He says that self-belief, above all else is the one attribute that sets winners apart. The NSBC is fortunate enough to work with over 127 000 SMEs and through its engagements have pinpointed what it takes to keep the business doors open. This year’s awards are sponsored by MiWay Business Insurance, SAP Business One, Norton by Symantec, DHL, Ford, ABSA and MTN Business. All these brands are invested in the support and growth of SMEs, with each sponsor showing unwavering commitment to the growth and success of these important small businesses. The 2017 National Small Business Champion is My Online Presence, an online design and development company. Co-founded by Andrei Dimitriu and Daleen Dimitriu, My Online Presence specialises in creating end-to-end solutions for brands looking to add some energy to their online presence or create one from scratch. Taking the 2017 National Entrepreneur Champion is Sylvester Chauke from DNA Brand Architects, a marketing and brand consultancy, which has an admirable goal to ultimately act as a catalyst to much needed economic development in South Africa. Acknowledging the strength and potential of the young business, the 2017 National Young Entrepreneur Champion is a brand disruptor, Bakani Ngulani from BN Solutions. The sought-after 2017 National Woman in Business Champion is Phillipa Geard from online recruitment platform RecruitMyMom. This innovative business assists skilled Moms who are looking for meaningful, part-time and flexible employment opportunities. RecruitMyMom has played a vital role in the recruitment industry, having created a trusted platform that connects employers to this specific group of job-seekers. Inspired by the café life prevalent from Cape Town to New York and with a pleasing New-York-Meets-Karoo theme, the 2017 National Franchisor Award goes to The Daily Coffee Café. Renowned for their high standards of service, coffee, food and décor, this worthy winner already has 19 cafés across South Africa. The 2017 National Innovation Award was given to Sylvester Chauke from DNA Brand Architects for the company’s unstoppable hunger for brand greatness. The 2017 National Tourism Award is extended to self-made success, La Teranga Bed & Breakfast, known for its warm friendly and professional atmosphere. A new award and worthy winner of the 2017 National Start-up Award, goes to Lewies Future Technologies. Initially focused on the fuel industry, Lewies Future Technologies has completed more than 6800 training modules within five months. As always this was an amazing event with an even more amazing crowd of people, which I hope will continue to grow.